Our infrastructure is sophisticated and ultra modern. Its bottom is occupied with advanced technology based machines, equipments and tools. Through our proper know-how with our machinery we are capable to erect a strong grip of our clients. We have superior quality machinery that comprises of heat treating apparatus, atmospheric generators and many more. We have excellent quality mechanism which composes of charge and discharge tablets, protective atmosphere and quench systems. We have a large and a capacious warehouse to accumulate our entire product range till they are delivered. It is equipped with current ultra modern services to ensure smooth and sound storage of our products. We provide outstanding packaging to our customers. We use superior quality packaging materials to provide harmless range of our products until it reaches to our clients. We endeavor to uplift our technology so that the ultimate products are suitable to meet the superior quality international standards. The dedicated and hard efforts of our team and their artistic ideas assist our entire manufacturing procedure. Our aim is to offer our clients with peerless quality products at cost effective prices. 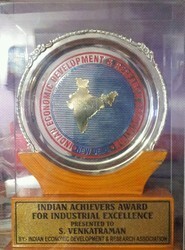 Our regular and continuous efforts helped us to gain brilliance in this respect.